A French composer born in 1950 in Caen. 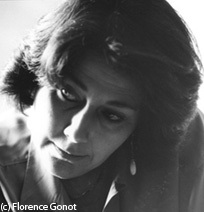 After academic studies at the Sorbonne, Paris, at the Groupe de Recherches Musicales and at the Pantin Conservatory (1973-1977), Christine Groult completed her training with a CA certificate in electroacoustics (1989). A teacher in electroacoustic composition at the Pantin Conservatory (until 2015), she founded in 2002 the association ‘Music in situ’ with an architect, a sociologist and an engineer-lawyer. This association organises, in unconventional concert venues, musical scenographies encouraging consideration of the history and the memory of these places. Christine Groult composes music for the concert hall, the theatre, choreography, documentaries and sound installations, situating her work within the research for expressive music. Her works include La condition captive (2003), French government commission; Canal instantané (2004) composed with Marco Marini; Si je les écoutais... (2007), French government commission, premiered at Radio France during Multiphonies Festival; Nahash et Duo (2011-2014) composed with Beatriz Ferreyra, commission of Ina-Grm, premiered at Gaîté lyrique (2011), at Dynamo (2013) and at 104 in Paris (2014); À la pointe de l'instant (2016), commission of the festival Turbulences sonores of Montpellier. Les partitions de Christine Groult sont inédites.